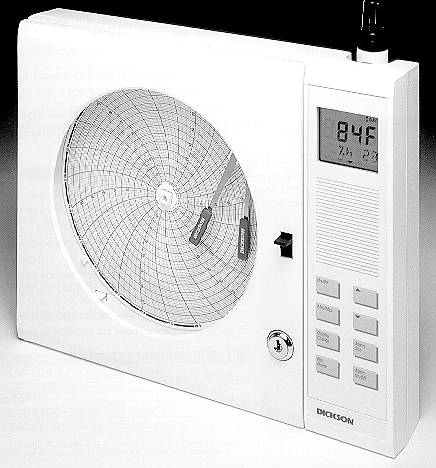 Flat Chart Hygrothermograph: Record temperature and humidity with this microprocessor-based recorder with remote sensing capabilities and user selectability of both temperature ranges and recording times. 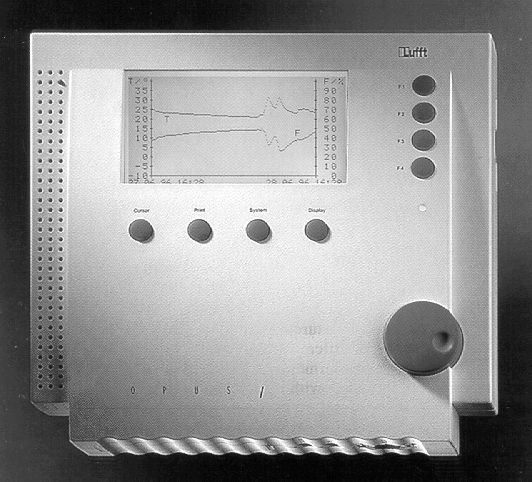 OPUS-1D Graphing Electronic Thermo-Hygrograph: The OPUS-1D by Lufft is not just another dataloger but an electronic thermo-hygrograph. 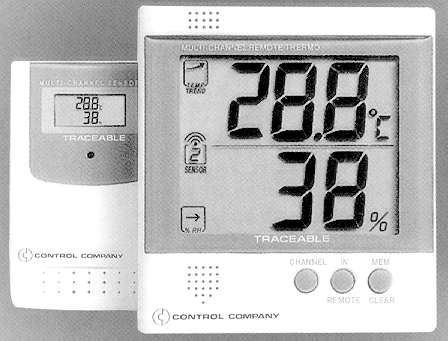 Radio-Signal Remote Hygrometer-Thermometer: Our new Radio-Signal Remote Hygrometer/Thermometer provides wireless readings of humidity and temperature, min/max memories, and high/low alarms. 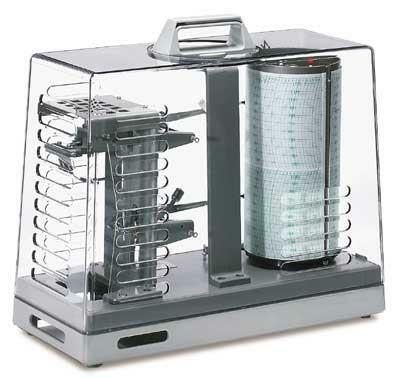 Three-Speed Battery-Operated Hygrothermograph: base, tinted cover, and carrying handle are constructed of lightweight, corrosion-resistant acrylic.